A Kauai Lei Greeting is a great way to start off your Hawaiian vacation, and by ordering through Kauai Discount, your Kauai Lei Greetings will be waiting for you at the Lihue Airport! Lei Greetings in Kauai are the perfect way to start your trip to paradise! Whether you’re in Kauai to celebrate your honeymoon or a college graduation, Kauai Discount has the perfect Kauai Lei Greeting packages for you to choose from, all available at the Lihue Airport! 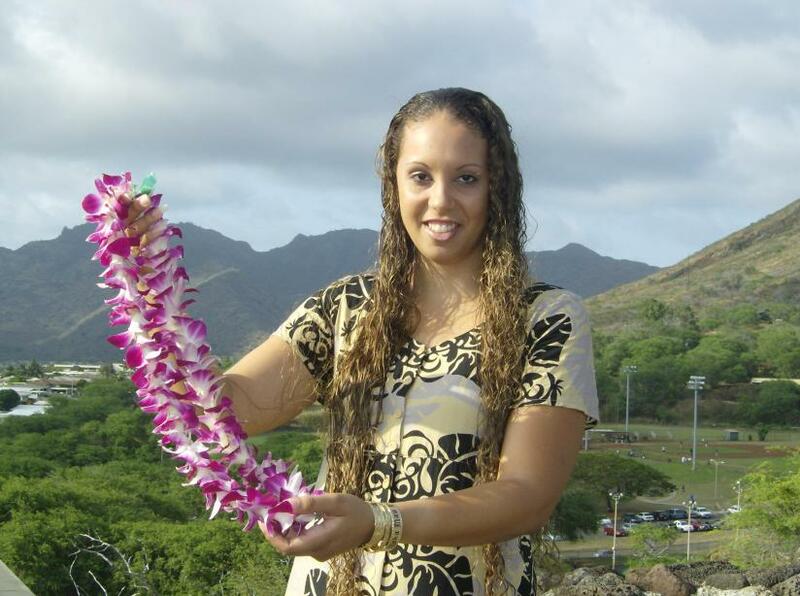 Once selected, our Kauai Lei Greetings are customized and personalized for you to commemorate your special occasion. With any of our Lihue Airport Kauai Lei Greetings, your savings are huge when you go through Kauai Discount for your Kauai Lei Greeting needs. There are many Lei Greetings in Kauai to choose from, and all our Kauai Discount Kauai Lei Greetings are available to you at the Lihue Airport. From a candy Lei creation to an exquisite orchid Honeymoon Lei, all of our Lei Greetings in Kauai are tailored for each different vacation package. When arriving at the Lihue Airport, why not start off your trip with your own personalized Lei Greetings in Kauai? With any of our Kauai Lei Greeting packages, you will always save when you choose to book through Kauai Discount! Whether you want a single strand Lei or the deluxe honeymoon Lei, you can be assured each Kauai Lei Greeting is a unique, one of a kind creation. Made specifically for your Lei Greetings in Kauai, these leis are created with Dendrobium Orchids, Carnations, Plumerias, Tuberose or combination of these flowers, and our Kauai Lei Greeting will last for years to come!. The type of flower used on any lei is subject to season and availability. If you have kids in your group, you can opt for the candy creations Kauai Lei Greeting which is both edible and fun to look at. For other members of your group, you can choose the single strand Lei. If you’re in Hawaii celebrating an anniversary or your honeymoon, be sure to pick out the Honeymoon deluxe strand, tailored for you and your spouse! Kauai Discount offers you the best choices for Lei Greetings in Kauai at the Lihue Airport... don't forget to make Kauai Lei Greetings part of your island experience! When you book Kauai Discount Kauai Lei Greeting, remember to look for your own greeter at the Lihue Airport! He or she will be in purple, with a big smile on their faces and your names written in large letters, waiting for you at the Lihue Airport! A Kauai Lei Greeting is a great way to start off your Kauai Trip! With all of our Lei Greetings in Kauai, book early with Kauai Discount and save on Kauai Lei Greetings packages customized for your needs. There's no better way to select the best Kauai Lei Greeting than by going through Kauai Discount! Start off your dream Hawaiian vacation with personalized Kauai Lei Greetings, waiting for you at the Lihue Airport. All of our leis are created with the best flowers to ensure souvenir worthiness- freshness and beauty are our standard! For all of your Lihue Airport Kauai Lei Greetings, go through Kauai Discount and leave the worry to us. Select any of our Kauai Lei Greeting packages and save. After all, a Hawaiian vacation isn’t truly Hawaiian without a Lei Welcome! Please look for your friendly Lihue Airport island greeter standing just before you enter baggage claim at the Lihue Airport on Kauai. He or she will be wearing a purple and white uniform, holding a welcome sign personalized with your name or group name. Orders for Kauai Lei Greetings for Saturday and Sunday must be placed before 5:00 pm Friday (Hawaii Time).